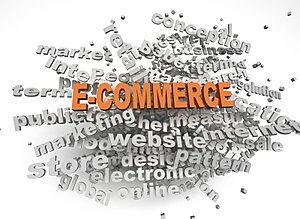 Ecommerce website design is where you don’t want to make mistakes. With several tools allowing people to design their websites without any coding and programming knowledge, many business owners choose to take these matters in their hands. An honest WEBIZ advice is that you should never “try” your skills on an ecommerce website. WEBIZ has been a website development company for years now and from our experience we can tell you that ecommerce website is no joke. This is the reason we have the savviest and most talented of our website designing and web development experts dedicated to working on ecommerce websites. Ecommerce websites need a lot of work in order to attain a level where they can produce enough revenue to satisfy the owner. WEBIZ screens through your ecommerce website and works on every workable aspect in it. We optimize your product pages and spread links over the web to drive traffic on them. We create a network of internal links on your ecommerce websites for search engine spiders to crawl every single page on your website. We’ll get rid of the old and broken links that can cause great damage to your search engine optimization ratings. We clean your website of duplicate content. Trim its codes to make it lightweight to load on even the slowest internet connection without any hiccups. Our professionals devote hours of their time on A/B testing and multivariate testing to discover the best combinations to attain the highest conversion rates. We work on your website images, videos and text content to make it a perfect online business website. We can work with the major CMS platforms such as Joomla, WordPress, Drupal and many more to provide you with a future-safe service. We deploy the newest Google remarketing tactics to squeeze business out of every single visitor who has visited your website.